Born in Wuhan, China, Shawn's interest in music began at the age of 5, when he was exposed to a bootlegged DVD of a compilation of Michael Jackson music videos and concerts. He quickly became inspired and influenced by the King of Pop, and would often try to imitate the performer and his band using household objects and pretending they were instruments. However, as a kid growing up in China, he never took up any instrument and trained in badminton instead. He moved to Canada at the age of 8 in 2000, and it wasn't until the age of 13 that he started getting involved with music after receiving a guitar for Christmas, and joining his school's concert band and jazz band with the trumpet as well. From years of playing, what began as a past-time quickly became a passion that never stopped growing. Throughout the years, Shawn has been a self-taught musician. He specialized in the guitar, but also managed to pick up playing piano, bass, drum, erhu (Chinese Fiddle), experimented with various other instruments, as well as gained experience with digital music production (recording, software, hardware, etc.). Behind this drive were the online video streaming channels (YouTube, 56, Youku) that Shawn adopted under the online alias of "Silver Mercury" at the age of 15. The channels were intended for feedback where viewers can leave criticism or advice to help him improve as a musician. To his surprise, the online channels started gaining traction from the covers, arrangements, collaborations and eventually original content that were created and uploaded as well. Through the community, he began working with singers, instrumentalists, filmmakers, and even dancers from around the world doing music, film, and art collaborations. In 2010, Shawn utilized those skills and connections built up over the years and released his first album "Diamond Wings" which featured those he collaborated with. The album was produced and composed by him with a range of different styles such as slow chord solos, to ballads, to hard rock and traditional Chinese style fusion. The album went on to selling 1500 copies internationally in the first year. Shawn attended the University of Alberta's Faculty of Business in 2012 majoring in Accounting. He decided to pursue his interest in music not long after, and in 2014, became a graduate of MacEwan University’s Contemporary and Jazz Music program with a focus in Composition, studying under award-winning former resident Edmonton Symphony Orchestra composer Allan Gilliland. During this time, his original composition "The Dark Side of Affection" was performed by the Edmonton Symphony Orchestra. He later returned to the University of Alberta to pursue a combined Bachelor in Music and Education minoring in Computer Science. He picked up the double bass and joined the University of Alberta Symphonic Wind Ensemble as well as the University of Alberta Symphony Orchestra. During this time, he toured to Chicago, IL and performed at the Chicago Symphony Hall. He also performed as a solo electric guitarist with the University of Alberta Symphonic Wind Ensemble with University of Alberta music alumni, revered professional French Horn player Jeff Nelsen, and professor and award winning Saxophonist Allison Balcetis. Outside of school, Shawn continues his international solo artist roles. Departing from "Silver Mercury", Shawn re-branded himself as Shawn X.G, expanding beyond his online presence and began taking part in the local Edmonton music scene, including joining a local Traditional Chinese orchestra to further get in touch with his roots. He has since taken up roles as an occasional session musician and music educator as well as hold clinics and workshops. Musically, he has covered various genres and styles from Traditional Chinese, to Classical, to Jazz, all the way to Metal. He also began scoring, sound designing, and producing for for film and commercials. In March of 2015, Shawn started the "Orbis" project, an orchestra aimed at performing predominantly popular culture music, featuring talented musicians who are also interested and passionate about the culture as well. Shawn directs, writes, and conducts for the orchestra, and occasionally performs as well. 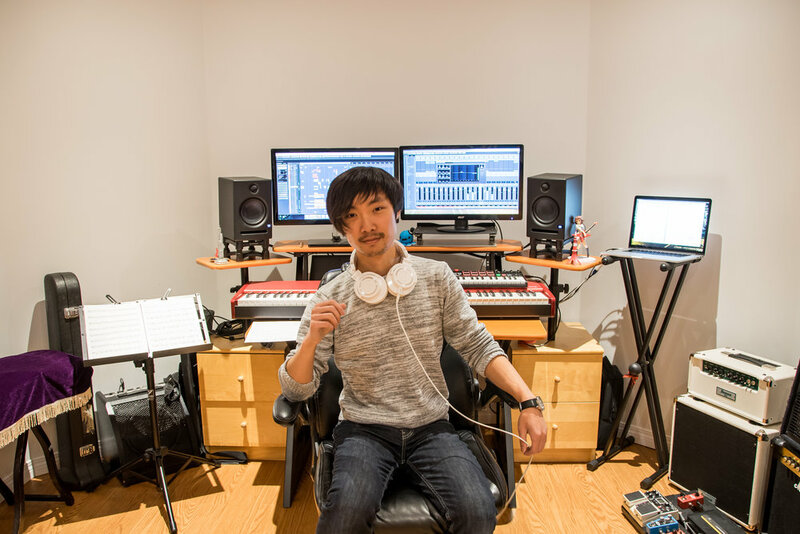 The orchestra quickly started and continued to gain momentum and began to play in high-profile venues and events with organizers such as Animethon, Edmonton Extra Life, eLegends, as well as Microsoft. Orbis continues to support and maintain a close relationship with the local gaming community. During the winter of 2016, Shawn made his debut as a theater composer, sound designer, and audio producer in the critically acclaimed play "Cafe Daughter" written by award-winning playwright Kenneth T. Williams. The play stars Juno award winning artist and actress Tiffany Ayalik, directed by Lisa Ravensbergen, art direction by multiple award-winner and former resident Edmonton Citadel Playwright Vern Thiessen, set and costume designed by 30th Sterling Award winner Erin T. Gruber. During this experience, Shawn was under the mentorship of Allan Gilliland once again. Due to its reception and critical and public acclaim, Cafe Daughter was premiered at the National Arts Centre in Ottawa for Canada's 150th Anniversary and the play was later taken on tour in the Northwest Territories and various other places in the future. In a review, theater critic Jenna Marynowski said "Shawn's sound design definitely increased the tension in the show at key moments and certainly wasn't anything you'd hear on the radio today." Today, Shawn is working on his second album, while handling all the responsibilities that he has taken on since his previous album.